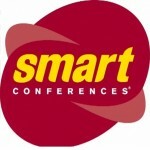 Logistics Bureau was again well represented at the Smart 2009 Conference and continued to build on its reputation for taking a left field approach. Participation included the Logistics Bureau booth, sponsorship of the cocktail party that included a macarena dance competition (don’t ask) and the Logistics Bureau Play this year titled ‘Is Your Supply Chain Killing Your Business’. Read more about Logistics Bureau at Smart 2009.